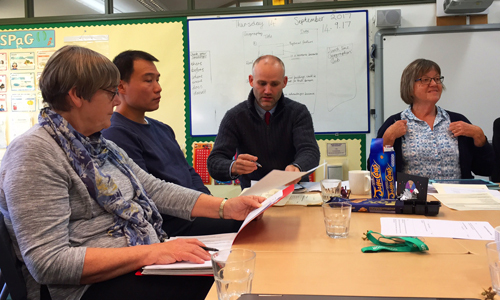 Our school governing body oversees the running of the school so that we maintain high standards of achievement and that the children can reach their full potential. Many governors are involved in the daily life of the school: leading assemblies, helping in classes and supporting fundraising. There are five full governors meetings a year, with sub-committees meeting more regularly. If you would like to know more about the school governing body, please contact a parent governor or the chair, via the school office.